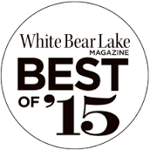 Receive awards points on all future orders. To make your online payment using our online system, click the payment link below which will link you to your "Online Client" account. Check on the Fees & Registration page for details on your monthly cost. A 3% processing fee will automatically be added to every online and credit/debit card payment. 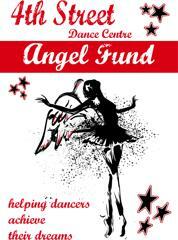 The 4SDC Angel Fund has been created to help dancers meet their financial needs in regards to their dance education. Many of our "4th Street Families" have often asked how they can help other "4th Street Families" defray some of this added monthly expense. Please consider donating to this special cause. Any amount will help. Check out our brand new 4SDC Online Boutique! New items! 4SDC jackets, tanks, t-shirts, pants, sweatshirts and hats! All orders placed between the 1st and the 14th of each month will be produced and delivered to 4th St. Dance Centre during the 1st week of the following month. All orders placed between the 15th and the end of the month will be produced and delivered to 4th St. Dance Centre sometime during the 3rd week of the following month. Please be sure to check the accuracy of your order, as no changes can be made to custom goods once your order is placed. Happy shopping, and thank you for your order.